Following France’s successful bid to host the 2018 Ryder Cup it is expected that an increase in buy-to-let properties will rise significantly. 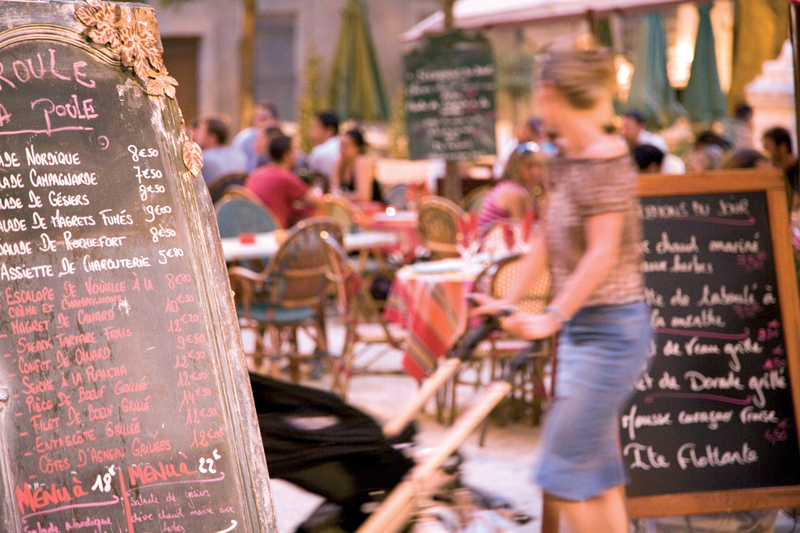 France beat off strong competition from Germany, Portugal, Spain and Holland and the news has prompted already a number of clients contacting us for potential rental properties to host the massive tourist boom the competition will bring. The bid process set about securing the best possible venue for the event, with France offering a number of world-class courses including Le Golf National (Albatross Course above) , on the outskirts of Versailles, Paris. Alistair Tait of Golf Week commented that France is a long-deserved destination to host the trophy “France deserves a Ryder Cup for the long support it has given the European Tour. The French Open stretches back to 1906, while the Trophée Lancôme was a prestigious event that ran from 1970-2003. The French Open has been held at Le Golf National for the past nine years. 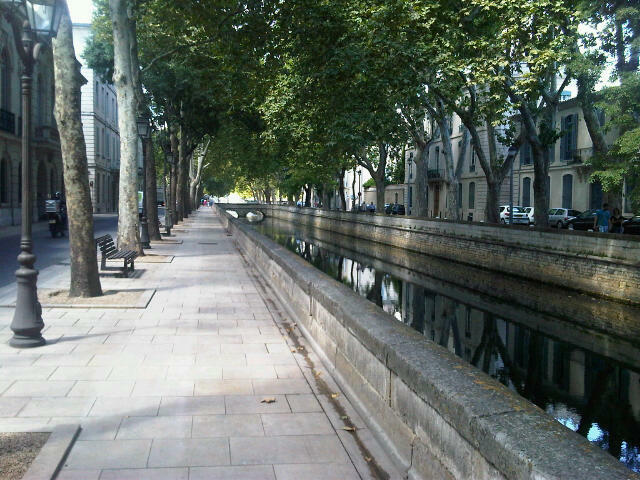 It is convenient for Paris, and the French capital is convenient for the world”. 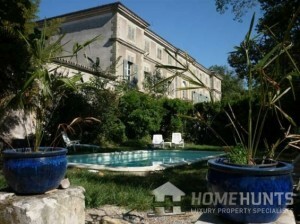 This Napoleon III style country house is only 30 minutes from Versailles and 40kms to the centre of Paris. Located in Yvelines department the property has been renovated to a high standard and offers 400m2 living space, 1 hectare of parkland including tennis court, swimming pool plus outbuildings. 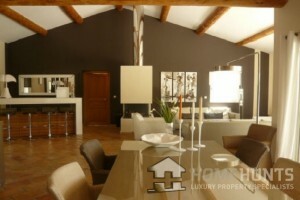 Price: 2,300,000 euros. 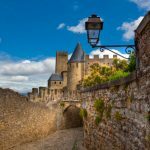 Property buyers in France are likely to be cheered on by news that the country’s real estate market is not heading towards a bubble and that contrary to recent reports of dramatic tax rates in ‘la belle France’ a move to France can be extremely tax beneficial. With a large number of differing styles of properties available from a country Mas to chalet in the Alps to Paris apartments our real estate market in France offers something for everyone. Not only that, with a top rate of income tax at 41% in France versus 50% in the UK plus a double taxation agreement with Britain, means that residents who pay tax in the UK can credit this against their French tax bill. In addition UK state pensions are also index-linked for French residents and British Citizens are entitled to free state health care (with a certain amount of around 30% not covered). Further benefits in the wealth tax threshold have seen the amount increase to 1.3 million euros this year, so if your worldwide assets don’t exceed the threshold, no wealth tax will be due. 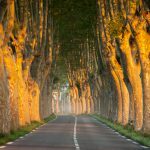 It’s therefore no surprise that the thousands of Britons who choose to relocate to France are still encouraged by the tax regime benefits – plus of course the countryside, culture, climate and change in lifestyle. The food and wine might also have something to do with it! French President Nicolas Sarkozy has recently decided to abolish controversial plans that would have meant around 200,000 Britons with second homes in France paying a new tax on their properties. There are already two taxes on property owned by non-residents – one by the person who owns the house and the other paid by those who live in the property. Mr Sarkozy had already approved the plan, which was estimated to add thousands of euros to the cost of owning a second home in France, as a way of offsetting a cut in the wealth tax. 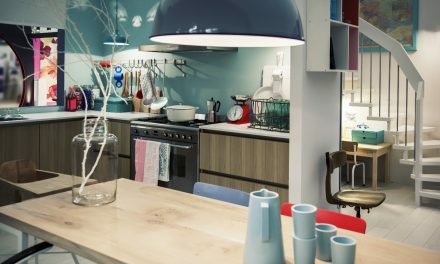 Good news for not just for the British but for the rest of the estimated 360,000 second home owners in France. 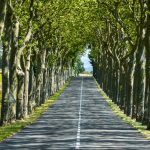 –	The stamp duties to be paid to the French Inland Revenue, the local authorities (amounting to 80% of the fees) The notaire collects the fees and pays them on behalf of his client. –	Miscellaneous expenses to cover various documents from local authorities. 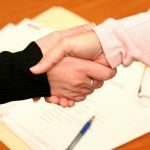 The amount of fees due to the notaire on a purchase varies but are likely to be around 6 or 7% of the price agreed for the property, excluding the agency fees. Buying a property is very important decision and it is essential that you have good advice in how to buy the property in the best way relating to your own personal and family situation – the purchase needs to be structured and acquired in the most tax efficient way possible. The notaire will be able to advise on this and to avoid any costly mistakes. We all hope to discover a region where it remains still green, authentic, a short drive to beautiful beaches and yet not stuck in the middle of nowhere with nothing to see or do for miles. Sssssh don’t tell anyone else…but this place still exists. 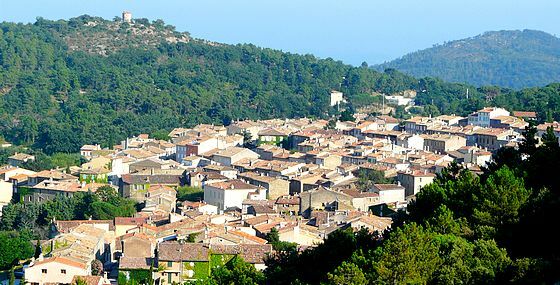 Tucked about in the hills, inland from the coast extending from Hyeres to Frejus lies the Massif de Maures region, home to villages such as La Garde-Freinet, Grimaud and Plan-de-la-Tour. During the 60’s when St Tropez was rocking and rolling and entertaining Brigit Bardot, this area was quietly making it’s living from wine making. However, the aristocracy yearned for an area which wasn’t too far from the Cote d’azur and yet away from the madding crowd. They bought large domains and farmhouses in the areas with space to breathe compared to the crowded coastline. Nowadays it is home to families and couples looking for a combination of great restaurants, forest walks all within a short drive to the coast. In the 1960’s William Rubin, director of the New York’s Museum of Modern Art in the painting and sculpture department and one of the world’s most renowned and respected experts on Picasso, settled in the area and built a magnificent estate. With panoramic views over the countryside the property is situated close to Plan de la Tour and is exquisitely finished throughout the property. There is a main house with four bedrooms, five bathrooms, a modern wing with three bedrooms and a unique tower with bedroom and bathroom. On the grounds there is a guardian house. 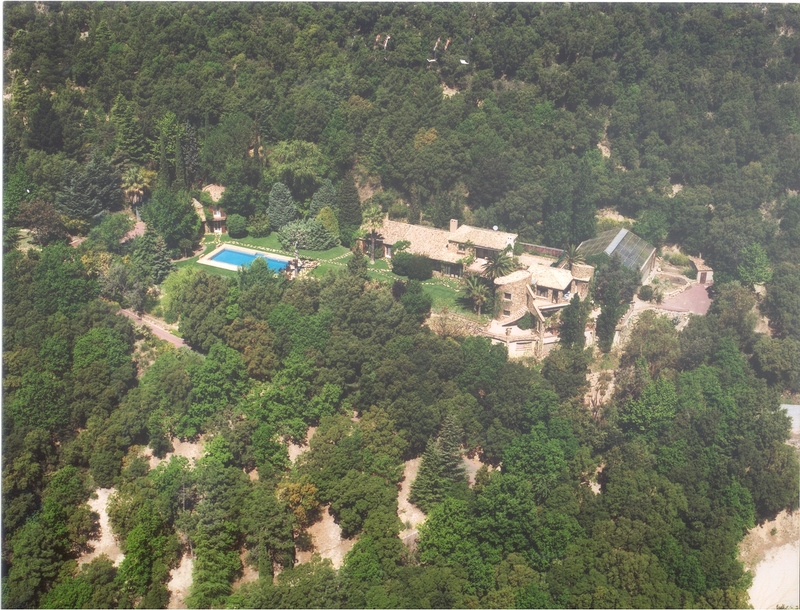 In total the grounds are 5.2 hectares with two swimming pools (outdoor and indoor) plus a lift in the new wing. 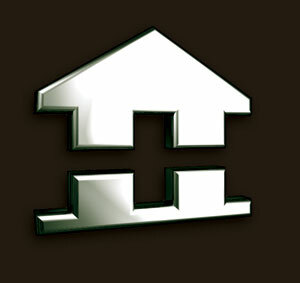 The property can be sold complete with furnishings, accessories and luxury linens. The Languedoc-Roussillon is one of the most charming and diverse landscaped areas of France. 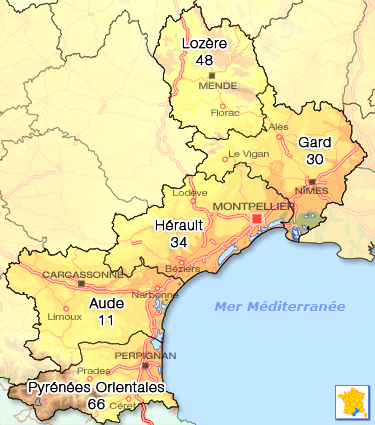 The southern-central region is bounded by the region of Auvergne, to the north, Provence-Alpes-Côte d’Azur, to the east, the Mediterranean to the southeast, Spain to the south, and the Midi-Pyrénées to the west. The region benefits from an exceptional climate and the coastal plains are typically Mediterranean, rarely freezing in winter, and enjoying average high summer temperatures of 30 C (86F). 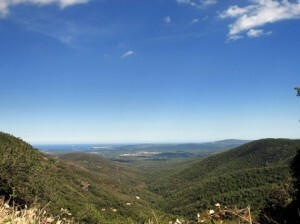 It is during the summer months that Languedoc -Roussillon really comes alive with local towns organizing numerous cultural activities and events. Festivals range from bull-running, to sea-jousting in the north, to jazz festivals to extreme sports shows, to local fêtes displaying French regional food specialties and Languedoc wines. Author and Journalist Helena Frith-Powell spent 8 years living in the Languedoc-Roussillon before moving to Abu Dhabi with her husband and family. Her new book ‘Love in a Warm Climate’ was written from her inspiration experienced in the Languedoc region and she is passionate on all it has to offer. 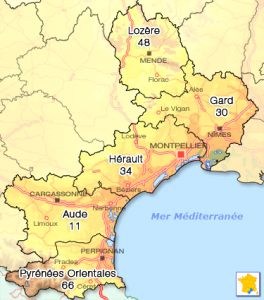 The travel links in the Languedoc Roussillon are excellent with connections to all major areas in the UK and many European cities with airports in Nimes, Montpellier, Beziers, Carcassonne and Perpignan. Restaurateur and owner of the highly successful ‘Le Pain Quotidien’ worldwide Organic café chain, lives 45 miles outside Montpellier in one of the wine-growing regions. Having lived in the region for the past 10 years he adores the variety and ability to produce a huge number of fresh vegetables and herbs. Once a year his chefs fly in to brainstorm ideas for the restaurants using Coumont’s garden and kitchen at his Languedoc home as their main resource. 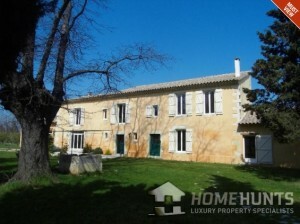 Perfectly located close to Nimes and Montpellier and only 10 minutes from the sea is this 18th century property (above) with views of the surrounding countryside. 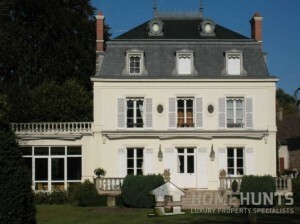 Price 876,000 euros. 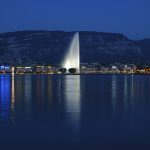 Properties near Geneva are hard to come by, especially if you are hoping for a reasonable price tag – but don’t despair, this could be just what the swiss doctor ordered. Located only 25 minutes to the centre of Geneva with panoramic views of Lac Leman is this stunning 220m2 property with 60m2 furnished annexe, dating from 1936, and entirely renovated and restored to the highest standard. On the 2513m2 grounds is a pool with views of the lake – wonderfully relaxing and yet very convenient for Geneva. 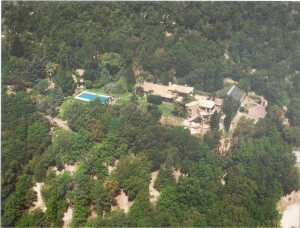 Price: 1,850,000 euros. Profitez-vous! Nimes, capital city of the Gard in the Languedoc-Roussillon was discovered by the Emperor Augustus. Since then it has maintained the title of being the most important Roman city, outside of Rome and is becoming extremely popular for many people buyers. The locals are called “Nîmois” and have a strong southern accent, in fact the phrase of the city is titled ‘city with an accent’ – of which the locals are fiercely proud. The city and surrounding countryside have become so popular because of the many different influences that all join together to make it such a vibrant, cultural, gastronomic heaven. Although there are many Roman historical buildings throughout the city, the most impressive is the Arena of Nîmes (Les Arènes), an amphitheatre that was constructed in around 70AD and remodelled in 1863 to serve primarily as a bullring. It can seat 16,000 spectators and the people of Nîmes take the bullfighting sport extremely seriously but alongside the bulls it hosts a number of international music events such as Santana, Sting, Verdi’s opera,all gracing the open air this summer. 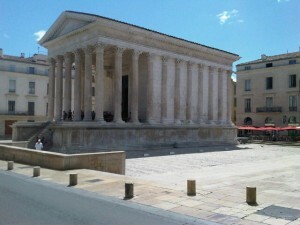 There are such strong, clear influences on the lifestyle in Nîmes, not only Roman and Hispanic. 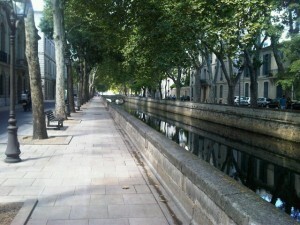 Although still in Languedoc, it is a border town and is considered part of Provence. The region famous for fragrances, culinary delights and olive trees extends its delicious tastes and smells throughout the city. The passion and influence of the Mediterranean also reveals itself through the architecture, tradition and language in Nîmes. The coast, Le Grau du Roi and La Grande Motte are half an hour away by car and the captivating region of the Camargue, with its docile white horses and flamingos are to be seen in the surrounding villages just outside the city. British Architect Sir Norman Foster designed the Carré d’Art which is the city’s largest library and is now returning to Nimes to design a new building with 70 flats in the centre, close to the Porte Auguste and the beautiful church Saint-Baudile. On the hills that overlook the city, many luxurious villas and beautiful estates keep a watchful eye over the grandeur below and exclusive areas such as La Tour Magne and Quai de la Fontaine are highly sought after. This beautiful Mas, built from Costieres stone, has been superbly renovated, in keeping with its environment and retaining all original charm. Situated within extremely tranquil grounds of almost one hectare, the Mas is surrounded by gardens with fruit trees and there is the possibility to acquire an additional 3 hectares of land. 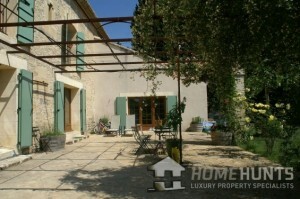 This property is the perfect country home, ideal either as a main residence or a second home, only 10 minutes from the centre of Nimes, and very convenient for the local aiport at Nimes Garons and motorway junctions. 45 minutes’ drive from Aix-en-Provence and 1 hour from Marseille Airport. Price 990,000 euros. 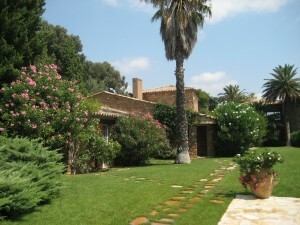 Beautiful volumes for this architect’s house (above) offering 230m2 combining original and new materials. 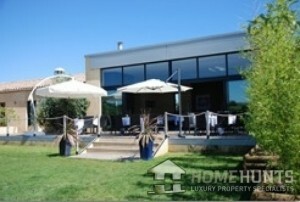 Enclosed grounds landscaped of 3000m2 with a 11x5m pool and olive trees. Dominant views close to the town center. 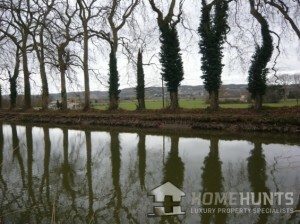 Price: 739,000 euros. This ancient agricultural property (above) from the 18th Century with a majestic mansion House and various old buildings has all been recently refurbished and converted in high standard dwellings with 5 guesthouses, a care taker’s house and various reception rooms. 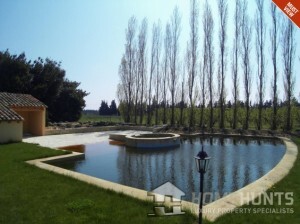 Surrounded by woods and vineyards, this unique property enjoys a peaceful privileged countryside location on the outskirts of a village with all amenities. 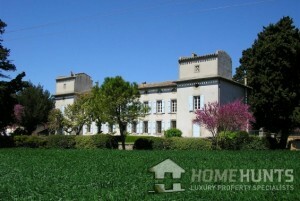 A total of 2500m2 living space and 2.5 hectares of grounds, please contact us for full details of this exceptional domaine.